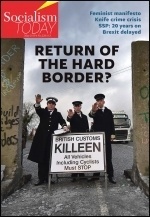 IMMIGRATION HAS resurfaced as a headline grabbing issue, with the Home Office announcement that, since 2004, 600,000 Eastern Europeans from the new EU countries, mainly from Poland, have arrived in Britain, writes Sean Figg. AN ANGRY east London GP has written the open letter below to Dave Prentis, General Secretary of the largest trade union in the NHS, UNISON. "I'M NOT in business to make cars. I'm in business to make money," said Donald Stokes, chairman of British Leyland when it was the biggest British car company in the 1970s. Now, another chief executive said the same, this time about medicines. LAST YEAR Lambeth College made £2.3 million cuts; another 5% in funding cuts were announced this year. If cuts like these continue for the next two or three years, adult education provision will be decimated. SWANSEA'S COMMUNITY Health Council (CHC), that acts as a public watchdog on local health issues, has voted for a second time against plans to shut Fairwood hospital and ward 1 at Hill House. Stop the fat cats! No to Cutbacks! Fight tuition fees! 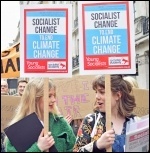 New publication: BILL MULLINS, the Socialist Party's national industrial organiser, reviews Marxism in Today's World, the new book from the Committee for a Workers' International. THE NEW book published by the Committee for a Workers' International (CWI), Marxism in Today's World, is an opportunity for many people to read in detail the ideas and policies of the CWI. Local government pensions: We're no April fools! Interview with John McDonnell MP: Hannah Sell, assistant secretary of the Campaign for a New Workers' Party and Ken Smith, Socialist Party Trade Union organiser, interviewed John McDonnell MP on his challenge for the leadership of the Labour Party. Gaza: How long will the ceasefire last? Top cops say: "Protest but don't offend anyone"